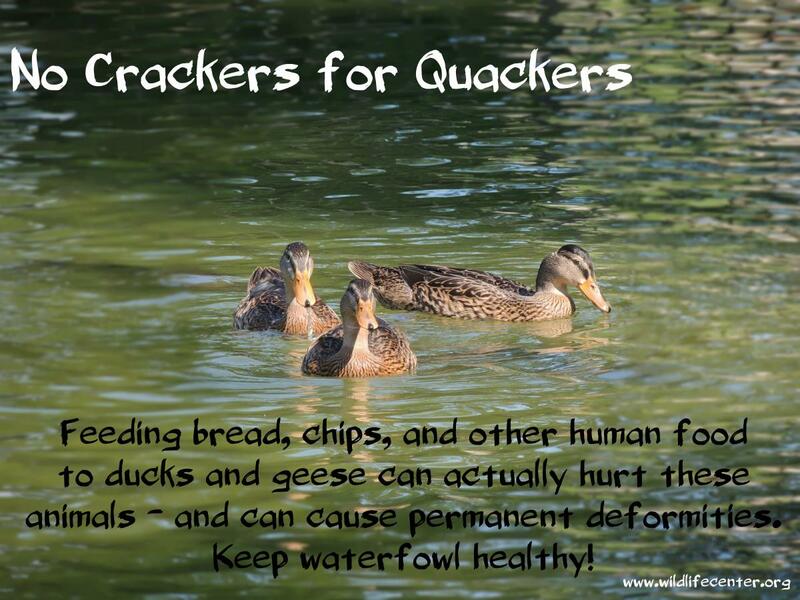 No crackers for quackers -- help keep waterfowl healthy and wild! Heading to the park to feed the ducks is a very old and popular family pastime; it’s a fun, free activity and a great way for parents and children to see and appreciate wildlife and nature. What many people don't realize is that bread, rolls, chips, and other human "snack food" items do not offer the proper nutrition that ducks and geese need -- and that the act of feeding a diet heavy in breads and other empty carbohydrates can lead to severe health consequences and a variety of other problems. Waterfowl in public parks are often admitted to wildlife rehabilitation centers with metabolic bone disease (MBD). Birds with MBD have incredibly soft bones and joints that are often malformed and fractured; these injuries are caused by an overall calcium deficiency in the body, which is linked to an inappropriate diet. Calcium also plays a crucial role in the formation of eggs/offspring, clotting ability, cardiovascular and neuromuscular function, and a variety of other metabolic activities. Birds with MBD are often so malformed they cannot fly and become dependent on handouts, completing a vicious cycle. Affected birds are typically too weak to compete for food and defend themselves and are often the victims of aggressive attacks by other ducks and geese. 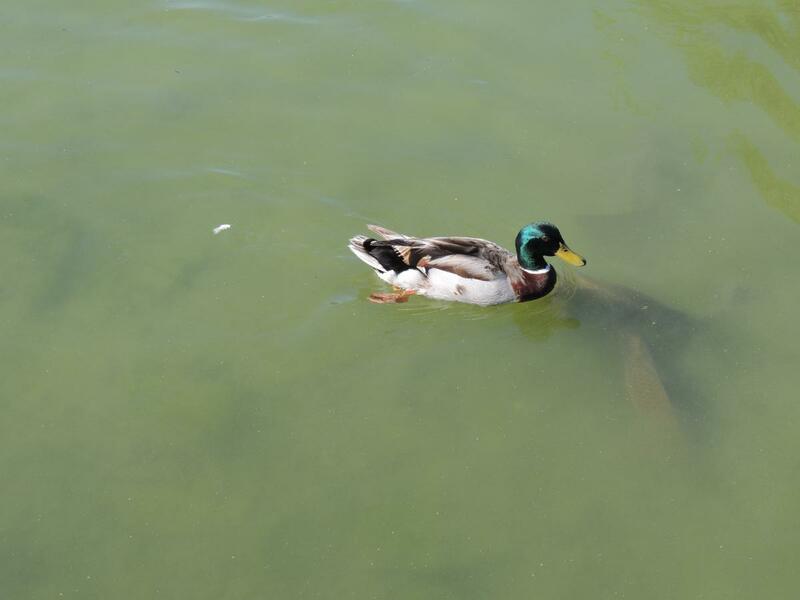 Another common issue with ducks and geese in public parks is “angel wing” -- a condition where the ends of an affected bird’s flight feathers are twisted upward. “Angel wing” occurs when ducks and geese grow abnormally quickly; the affected birds’ joints don’t fully form as the wing and feathers develop and the weight of the growing feathers rotates the tip of the bird’s wing. If caught in initial stages, waterfowl suffering from this condition may be treated with splints to guide bone growth in the correct position. Although there are several theories regarding the causes of “angel wing”, some studies suggest that diets high in protein may be to blame. Well-meaning citizens feeding commercial duck, chicken, or turkey feed to avoid the “junk food” may be unintentionally creating this disorder. In the wild, a particular lake or pond habitat can sustain a certain number of ducks and/or geese – there is a maximum number of individuals that can successfully reside there indefinitely, with enough food, water, and shelter. This “carrying capacity” of the habitat can be artificially increased when supplemental food is added. While extra food may appear to be a good thing, it may lead to an expanded waterfowl population beyond the carrying capacity of the habitat. Without increasing space and other resources, ducks and geese can become stressed and overcrowded. Increased numbers of animals leads to increased competition for food; weaker birds in these environments often sustain severe injuries from more dominant birds. During the spring breeding season, gangs of male ducks physically attack each other to get access to female ducks. This not only leads to plucked featherless areas and skin lacerations, but females often drown as they cannot escape the driven males. 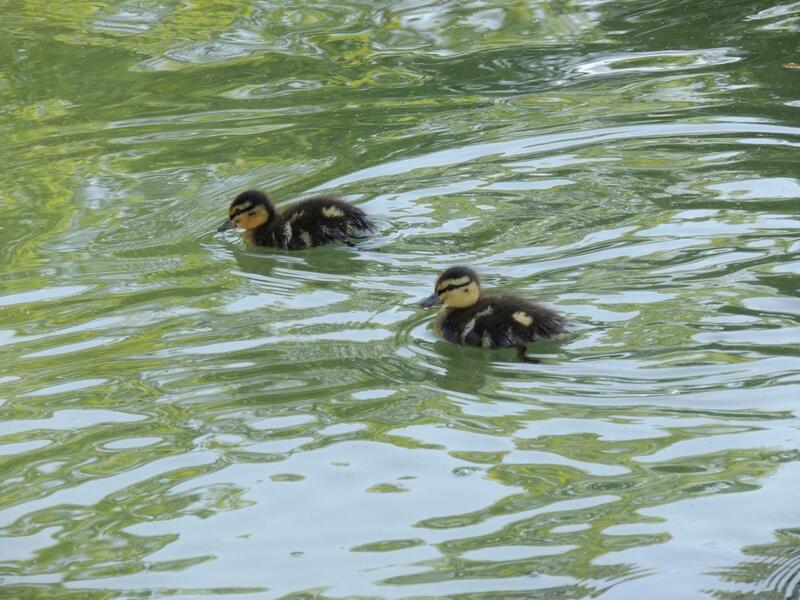 Females that manage to escape the male ducks often nest up to a mile away from the water. This abnormal nesting behavior may put them at risk of urban predators, vehicle collisions, and perils not associated with nesting in natural areas. 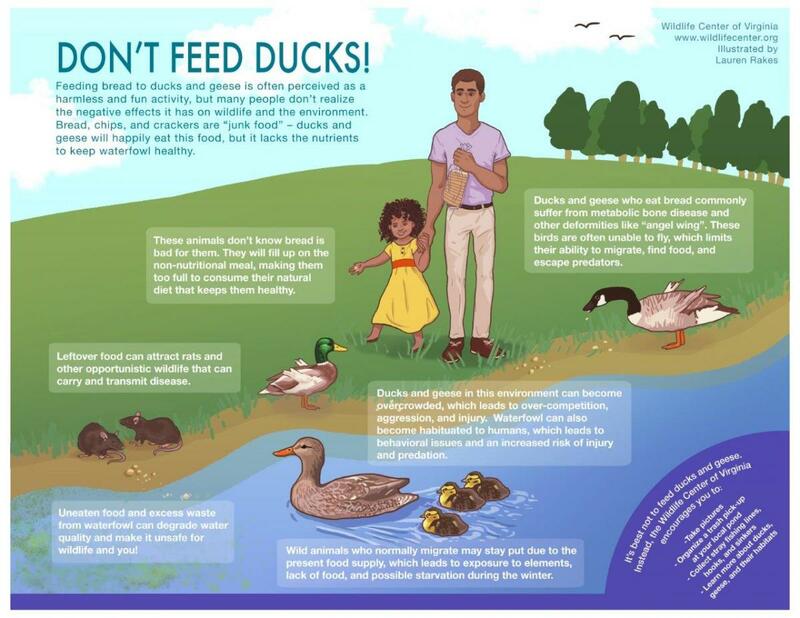 Overcrowded habitats also are prime territories for disease outbreaks; there have been numerous outbreaks of botulism, avian cholera, duck plague (duck enteritis virus), and aspergillosis (fungal infection) in city duck ponds where supplemental feeding is a regular activity. The intense competition for poor quality food combined with other stressful interactions often cause the ducks and geese to have suppressed immune systems, which reduces their ability to resist infection. For areas with high volumes of supplemental feeding, it’s also quite common for the unconsumed, leftover food to attract scavengers, including raccoons, opossums, and rats. Dense populations of these scavengers bring the potential for further disease outbreak, including zoonotic diseases that are transmissible to humans. Feces generated by overcrowded waterfowl result in increased deposition of carbon, phosphorus, and nitrogen in the water and surrounding grasslands. The addition of these nutrients to water (a process known as eutrophication) promotes excessive algae growth, leading to decreased oxygen levels, foul-smelling green and cloudy water, fish kills, and an overall decrease in water quality. Some common algae species (blue-green algae) even produce toxins associated with illness in wildlife, humans, and pets. Certain species of waterfowl may also be destructive to the environment, due to their natural foraging strategies. Canada geese graze on grass and other low-growing plants and, when in large flocks, often destroy lawns and gardens surrounding city ponds. If these birds cannot find enough food, they often migrate short distances to golf courses, sports fields, and other grassy public areas yet still use the public park as a “home base”. Increased waterfowl populations can also lead to erosion of shorelines and a general negative public opinion of ducks and geese. Allowing ducks and geese to find their own wild, nutritionally balanced diet is best – for the health of waterfowl and the surrounding environment. For those who would like to slowly stop feeding waterfowl: the least problematic foods mimic the waterfowl’s natural diet – greens and insects. Chopped up greens [kale, collards, dandelions (only from pesticide-free yards)] are more nutritious than any junk food, including corn. Ducks and geese eat insects too -- so a special treat of mealworms or freeze-dried crickets would also likely be enjoyed! But the bottom line is that wild ducks and geese should be able to find plenty of food on their own – so if you can resist the temptation to feed, simply pack your binoculars and camera and enjoy watching the birds. Organize a trash pick-up at your local park. Collect stray fishing hooks, lines, and sinkers. Learn more about native ducks and geese and their natural history. Spread the word! Share this information with others. If your local park has a problem with feeding, contact your parks and recreation office and work together to put up educational signs. 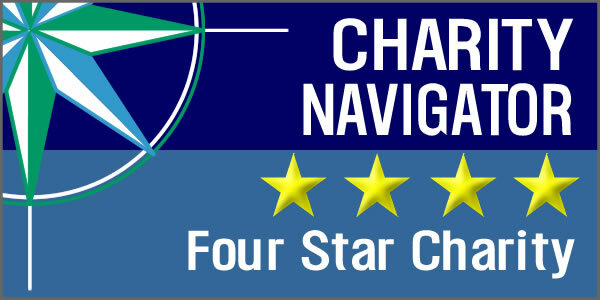 We’re happy to share a high-resolution version of the infographic below.